Hamas are vital to the Odinic Rite. In working to raise and maintain a Hama, a process of self-rooting in the heart is fostered, thus essentially imbuing life with sacred meaning at all levels. A Hama provides a daily and constant Heildom in which a person will teach himself or herself to see the sacred in every aspect of life, from the apparently mundane through to sacred ritual practise. In doing so, they will learn about self-responsibility and the lessons to be learned from core Odinist principles embodied by the nine noble virtues and nine charges. 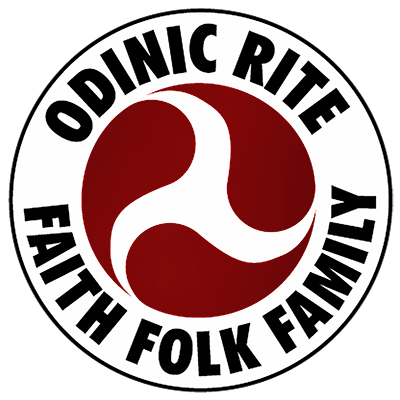 Essentially, individuals will learn about right relationship with themselves and those around them through this connection with the Odinic Rite. Hence, the correct resonances at many levels will set right relationships to all the worlds and thereby encourage personal organic growth in all dimensions. In being integral to the individual, a Hama is automatically ‘portable’ so to speak. Thus any individual action becomes Hama activity and with this awareness in place, the individual becomes a vibrant cell to the Odinic Rite: a mutual resonance between the two is activated and nurtured in a constant feedback cycle. In the process, receptive persons outside the Odinic Rite may well be drawn in and natural growth of the movement may result through a subsequent extension into hearth activity. Hama activity potentially provides a good training ground for hearth raising since the latter is really an extension of the former- much like a larger ripple resonating outwards from a smaller one. Both are founded upon the same Odinist principles of natural law. The ‘portability’ of a Hama is crucial in this day and age because there are many lone Odinists with equally many reasons for being as such. Others may move around frequently and therefore do not have the benefits derived from a hearth, kin, partner or community, yet others may be incarcerated with no support systems in place and no comrades. Without a Hama, these folk could very well feel bereft in whatever circumstances they find themselves in, and this could encourage self-destructive behaviours. Thus a Hama fulfils the vital function of giving such individuals a sense of really belonging to their folk community. This ‘sense’ and support by the Odinic Rite will help nurture spiritual and physical health, depth of personal experience, right attitude and communion with the Gods and Goddesses. In the process, a vibrant human being emerges, who is a powerful example of a modern age Odinist and a great asset to our folk. For, as with raising a hearth, the person at the centre of the Hama has assumed the role of true Odinic priesthood and is therefore bound by that responsibility to advance themselves, the Odinic Rite and hence Odinism towards the New Awakening and the New Golden Age. Symbolism and Meaning of ‘Hama’. If we then consider the phonetic aspects, the beat of the heart is something like the thud of a hammer on an anvil- regular, incessant, rhythmic and hence pacing. In that way, blood is moved around the body and the rhythm, pacing, tides etc thus created are central to our level of health; and indeed, it keeps us alive. Health is about wholeness at all levels; and these facets mediate with our environment in a process of informational exchange. The God/Goddess forces within and their expression are the prime motivators of these functions, being both central to the environment and ourselves. Thus it follows that the stronger the level at which they can express themselves through us, the healthier the environment and we will be. Hence, the more our lives will be aligned with their will because the correct motion and resonance throws off the dross. In that sense then, our personal and collective ‘need’ is to accurately align ourselves with the Gods and Goddesses; and our ‘need’ is the nauthiz rune, which not only looks like some Thor’s hammers and mirrors the hammer sign, but is of course the Sigurd rune of homeland- and red, the colour of our blood! One of the meanings of the nauthiz rune is the anvil on which a stronger and more resilient human being is forged- using a hammer. From the word ‘Hama,’ old Norse also derives the word ‘Hamr,’ which means ‘spirit skin’- a skin that maintains the soul’s energies and stops them from being dispersed when travelling from the body. Each individual’s ‘Hamr’ would be unique, like our faces, just as each individual’s expression of the God/Goddess forces via a hearth comprised of a single-person would be. And this unique expression of the folk Godforces is the spirit of Odinism. The name ‘Hama’ also influenced Tolkien: Helm Hammerhand had a son called Háma. The Guard of the king’s home in Edoras is also called Hama. He is the one who allows Gandalf to keep his staff and who died defending the gate of Helm’s Deep. The symbolism of this Hama is fitting as a watchman and defender of the home, just as Heimdall serves this purpose for Asgard. It is possible this was intentional on Tolkien’s part. The very name ‘Heimdall’ has been translated by some into ‘Home Light,”World Light’ or something similar, depending upon the translation of ‘Heim.’ The link between Heimdall and the home is therefore very appropriate: the home is where we begin to learn the skills that will take us through life and where we pass them onto our children. And at another level, Asgard is our constant home in the eternal now. Finally, in using the word ‘Hama,’ we then have a ‘Hama,’ a ‘Hearth’ and a ‘Hof’ in ascending order of size- all meaning ‘home’ and beginning with the letter ‘H.’ Hence, we have an inherent- and necessary-consistency of meaning at many levels. And of course, three is a potent number in our mythology. If any of our members wishes to form a Hama they should write to or e-mail the following addresses depending on your location and explain why you wish to form a Hama. All applications will be considered just as those for forming a Hearth.